* Importable in Second-hand/Used by the Construction, Petroleum and Mining Sector Companies. 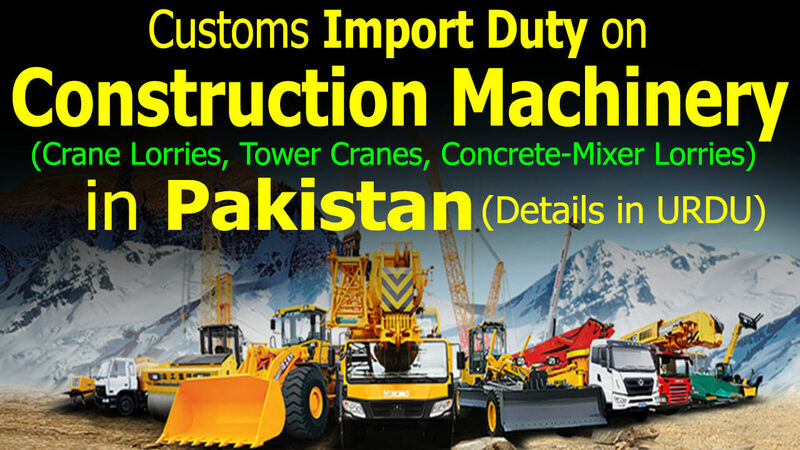 * PSI Certificate is required on import of items of Mobile Cranes. * Crane Lorries is not importable from India. * Importable in Second-hand/Used by the Construction, Petroleum, and Mining Sector Companies. * Registration certificate of the construction companies is required on the import of “Transit Mixer”. * Concrete-Mixer Lorries is not importable from India.